Margaret Mary Barry was born in 1935, the daughter of a Water Board clerk and a schoolteacher, both Irish Catholics. She remained unmarried. She died at Saratoga, NSW, on 28 February 2001. Margaret Mary Barry was educated at a school in Kensington, Sydney. She left early to work on the Student Council at Sydney University and moved into community work. For many years, Barry was the co-ordinator of the Inner Sydney Regional Council for Social Development. She was a founding member of Radio Eastern Sydney and CTV1 on which she became a presenter. She was on the Editorial Committee of the Inner Voice Magazine, Secretary of the NSW Urban Environment Coalition, on many inner city community committees, and a member of the South Sydney Public Housing Task Force. She was Secretary of the Waterloo Branch of the Australian Labor Party. She retired from her community commitments in June 1999. 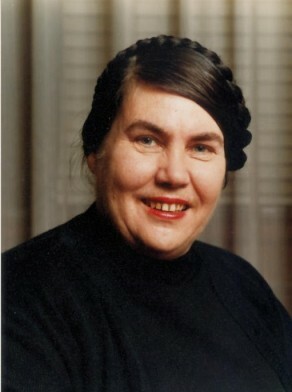 As a resident of inner Sydney Waterloo, Barry was an ardent and vocal advocate for the disadvantaged in her community. She is commemorated by the annual Margaret Barry Social Work Prize. The inaugural Margaret Barry Memorial Lecture was presented by the Inner Sydney Regional Council for Social Development in May 2005. In 1999, Margaret Barry was awarded the Order of Australia for her outstanding contribution to her local community in Sydney. Margaret Barry was elected Alderman for Waterloo Ward, from 14 April 1984 to 26 March 1987 when Council was replaced by Commissioners. Barry was a member and Chairman of the Health and Environment Committee in 1984-85. She was also a member of the Community Services Committee, 1984-85, the House Committee, 1984, the Equal Employment Opportunity Implementation Committee, 1985, and the Budget Management Committee, 1985. She was an Independent-Labor Alderman.